The story can be considered to be the 3rd part of the trilogy concerning the Kanes'; first being 'Kane and Abel' and second 'The Prodigal Daughter'; both absolutely brilliant books and my favourites of all the Archer novels. So I went into this novel with high expectations. As with any other Archer novel no background read is necessary however the ones who have read the other two books might identify with two, three characters in this book. The Prodigal Daughter ended with Florentyna Kane being declared as the President of the United States of America mid-way through the tenure of the previous under whom she had served as the vice-president; after his unfortunate death. The book starts off two years hence after Kane has been re-elected as President and has taken the Presidents' oath. [The book provides a very good insight into the Presidents' inauguration procedure.] And very early on, the author displays that the book will revolve around the Gun Control bill that Kane wants passed forbidding anyone to possess a gun without a valid license. The Director asks Mark to take a leave from the FBI so that he can work on the case when he is actually not supposed to be work; not exactly undercover but to same effect. Then he sets him to some research work gradually narrowing down the list of senators that could be involved in the murder. Mark works in the morning, spends time with Elizabeth in the evening and puts forth a report on the Directors desk the following early morning and the cycle repeats. Meanwhile the Director keeps a close eye on Mark's activities along with the narrowed down list of senators' activities. With some lucky breaks and some smooth talk Mark narrows the list to 2 senators that could be involved one of whom is Dexter. Now besides the Mark story Archer also presents the story from the assassinators point of view, of their meetings, planning and doubts. 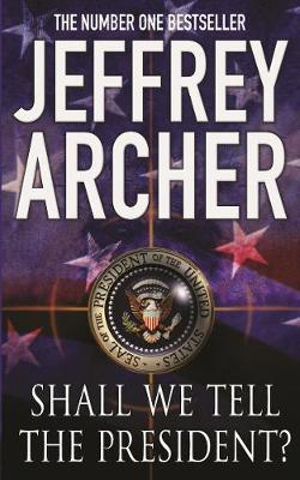 On the 10th March, Mark informs the director that Dexter cannot be involved and the Director who has the entire area near the Capitol covered with agents ready for any action takes some smart last minute decisions resulting in the President alive, Mark injured but safe, the senator dead, three arrests and one escaped conspirator. Mark gets the girl in the end and a congratulations and thankyou from the President herself. As for the bill, the voting date is postponed but the odds of it being passed is almost certain.